Londoners will not pay any more after the government announced a rise in the Olympic budget, the mayor has said. Culture secretary Tessa Jowell said the cost of hosting the 2012 London Olympics has nearly trebled to £9.35bn. 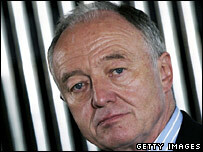 As part of the revised budget, London mayor Ken Livingstone will have to come up with an extra £300m. But he has said he will not increase the current 38p a week contribution Londoners pay on the council tax for the Olympic Games. A spokesman for the mayor said the extra £300m will come from "within the Greater London Authority group". BBC London's political editor Tim Donovan said Mr Livingstone may raid Transport for London reserves and use a £200m loan he has taken out for transport improvements in east London to help find the £300m. In her commons statement, Ms Jowell said the mayor had agreed to re-write the memorandum of understanding to enable "profit sharing" - so the Lottery and future regeneration needs could benefit from any returns from the investment being made. Mr Livingstone said: "Londoners will not pay a penny more than the current 38p a week contribution on the council tax to the Olympic Games. "Today's announcement delivers that promise. To get the Games for the price of a walnut whip a week is a bargain". But Bob Blackman, London Assembly Conservative spokesman for the Olympics said: "It is clear that the assurances given by the mayor and Tessa Jowell that the original budget was totally robust have been blown completely out of the water by today's announcement. "The months of speculation are finally over but there is not a shred of good news for National Lottery, who will have their good work in London decimated for the next five years whilst contributing an additional £675m."